Dubai is definitely a cosmopolitan metropolis with tremendous growth in the last years. It is a financial and cultural crossroad of the Middle East and the Persian Golf region. Its financial strength is based on tourism an area that brings huge revenues and is the driving force for new infrastructure. 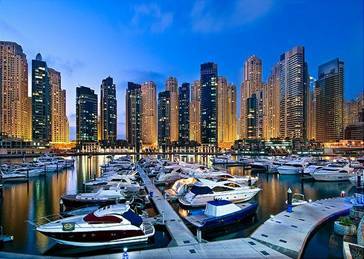 If you want to live the ultimate luxury at its peak there is no better place than Dubai. Luxurious hotels, classy restaurants, malls and spas make you feel like a true Hollywood star. Dubai is the place where every exaggeration is allowed. You can shop, relax, eat and be pampered because here everybody deserves it and everyone is treated like a VIP Travelling around this city is not as easy as someone would think. The difficult climatic conditions in combination with the high temperatures require a high standard medium of transportation with all the comforts. Van hire will help you discover Dubai dazzling beauty in the best possible way, let it drive you everywhere your heart desires. Book your minivan on line at www.vanrental24.com and enjoy every minute of this amazing journey. 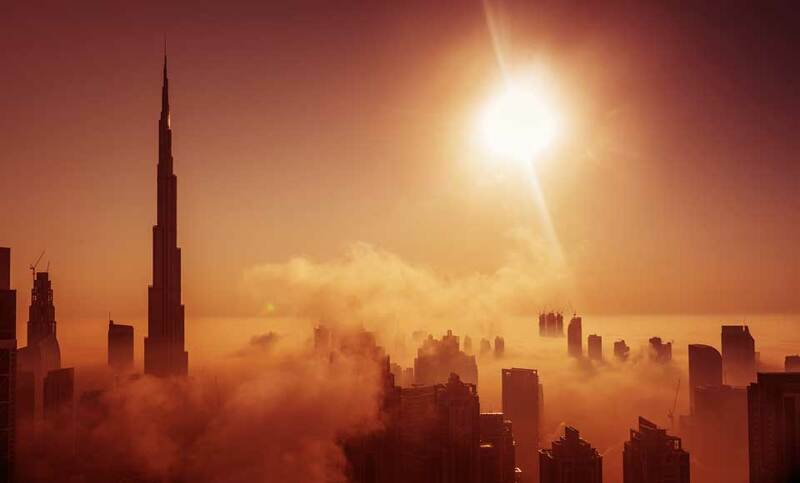 The first must see of Dubai is Burj Khalifa. It is the tallest skyscraper 828 m in the world. It offers a breathtaking view, but also a variety of other features such as the first Armani hotel, a mall, a restaurant and a fitness center. From the highest observation centre on the 124 floor you will feel on top of the world. Dubai Creek will win you at first sight. This natural seawater inlet divides Dubai in two parts Deira on one side and Bur Dubai on the other. Despite the tall buildings it manages to maintain its unique beauty. The highlight is of course a wild life sanctuary with more than 27.000 birds. Hotels yacht clubs and golf courses are still a part of this wonderful landscape. Visit the Dubai Museum the building that host the museum is a work of art on its own. Its dated back on 1799. It has a wide collection of pearl diving outfits, weapons and military artifacts. The huge wood sailing craft will certainly strike you attention. You have discovered an innovative way of travelling and you know that with minivan rentals you hold the key that opens every door of this city. You don't fell anymore like an ordinary tourist who has limited transportation possibilities you feel like a true “investigator” who wants and can see every corner that is worthy. For some true local color the perfect spot is the Heritage and diving Village don't think twice and take your 12 seat minivan rentals and drive up there. You are going to see some real Bedoin lifestyle. Barasti houses, local clothing, and handy-crafts create a tale with eastern colors. If you want to see with your eyes how far human creativity can go visit the Palm Islands. They are the largest artificial man-made islands.They are notable from miles and host hotels, and private residences. Something unique is happening in Dubai the number of businessmen and professionals that visit this city are so many that overcome the number of permanent residents. This amazing growth of Dubai was made possible thanks to the right choice of human resources from all over the world. These people are perfectionists and addicted to detail. They want everything. For all of them the perfect solution exists. Van hire offers them the maximum comfort, speed and luxury while they move around the city, and because this on its own is not enough Van rental provides them the ability to create their personal working environment on road. In an ever-changing and challenging working environment where developments determine the outcome Minivan rentals is the answer!